The first step is to open your shop with 10-20 products, give or take depending on your niche. When launching your products you need clear, quality photos to captivate your viewers. Next, you write solid product descriptions that reflect your brand and are to the point, yet thorough to sell your products. Product photos are clean, simple and from all angles and styles; also, no filters. Product descriptions are thorough, yet prompt. Mulitple keywords are used in your title and product descriptions—What words might someone use to search for your listings? It is also key to experiment — check your shop stats frequently and determine which keywords viewers are using to find your shop. This gives you a better idea of what you should focus on and areas to improve upon. 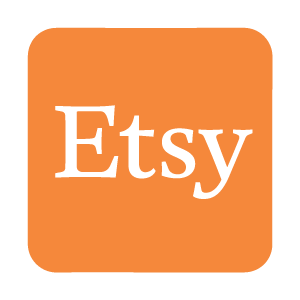 I wrote a quick guide for starting an Etsy shop for a more step-by-step guide. Marketing and sales are like bees to flowers, one doesn’t work without the other. I spent the second-week researching marketing tactics to grow an eCommerce business. Hashtags are essential— they are keywords to bring traffic to your posts. Use hashtags in your photo captions that are relevant to your business (#etsyshops, #smallbusiness), your area, and your products (#handmadejewelry, #tiedye, etc.). Hashtags based on your business focus will target the right audience, rather than hashtags to gain likes. Try using “calls to actions” or asking questions in your photo captions; captivating captions will increase engagement. The more engagement, the more your photos will see traffic. The key to growing your business with Instagram carving out time for engagement everyday— posting, liking photos, responding to comments on your post, commenting on other photos, and following your target audience. I also wrote an article on how to gain followers and increase your business on Instagram. On January 7th, I had 23 followers on my Instagram with an average of 8 likes. On January 31st I had 112 followers and an average of 35 likes. That is a five and a four-fold increase. My goal for February is to continue the increase by five-fold and have at least 500 followers. 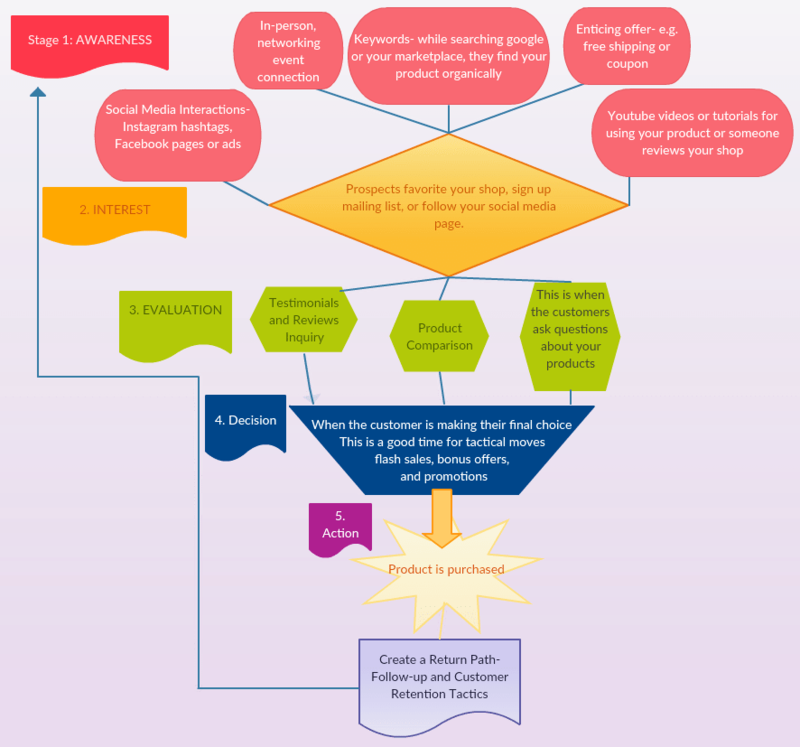 A sales funnel is a multi-step process that moves prospects into buyers. Creating your sales funnel help you find the best results out of your sales leads, therefore, increasing your prospects into buyers conversion rate. Timely shipping and personal touches like handwritten notes kickstart a return path. I wrote an article on increasing your revenue on Etsy. In addition to Etsy, these principles can also apply to selling on many different online marketplaces. There are formulas and tactics but selling also needs personable communication and creativity. I’m passionate about growing my sales skills and I’m looking forward to my career in sales.